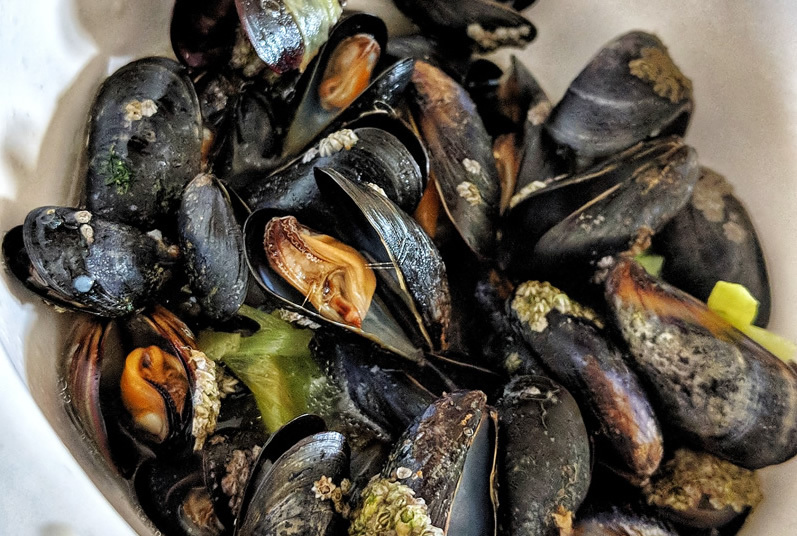 The North Devon coastline is abundant with rocky outcrops of mussels, this recipe includes mussels that were caught at Croyde Beach. 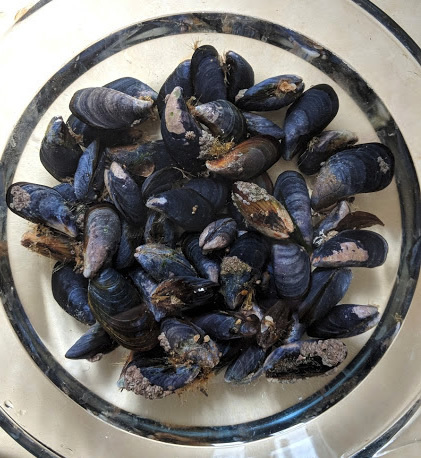 Rinse the bearded and scrubbed mussels thoroughly, drain the water and dry. Heat up a pot with the melted butter/olive oil on medium heat. Sauté the garlic and leek for a few minutes and then add the mussels into the pot and stir to combine with the garlic and onion. Pour in the beer and cover the pot, for a few minutes, or until the mussels are open and cooked.